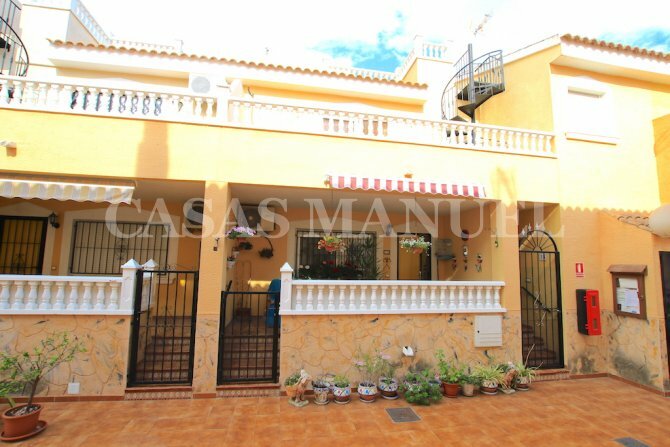 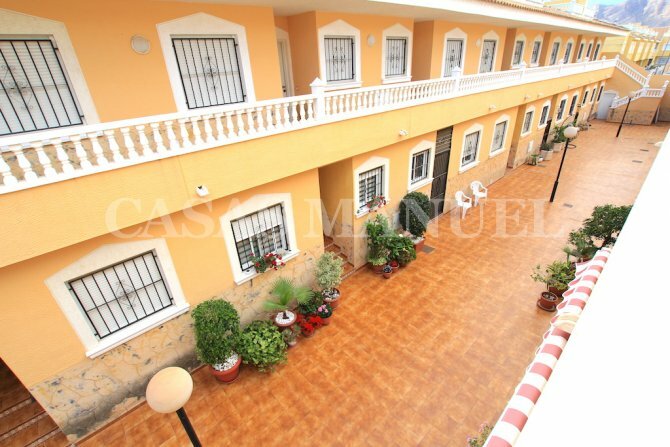 A spacious and attractive South-West Facing top-floor apartment for sale in the traditional Spanish village of San Bartolome, Costa Blanca South. 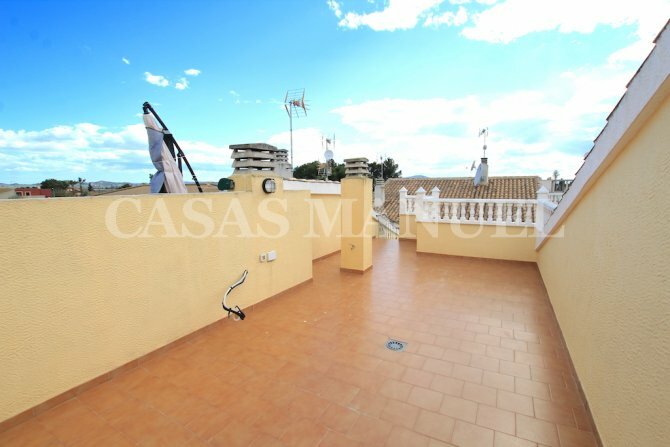 The property (built 2004) is both bright and spacious and benefits from a large private rooftop solarium boasting ample sun-bathing space, plus some wonderful views of the Sierra De Callosa mountain range. 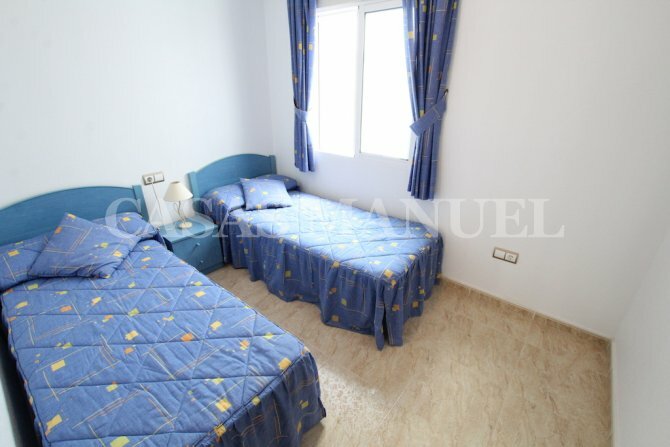 The apartment itself boasts 2 double bedrooms (master with fitted wardrobe), a large family bathroom (Wash basin, toilet, bidet, bath-tub), well-appointed kitchen, plus a spacious lounge-diner. 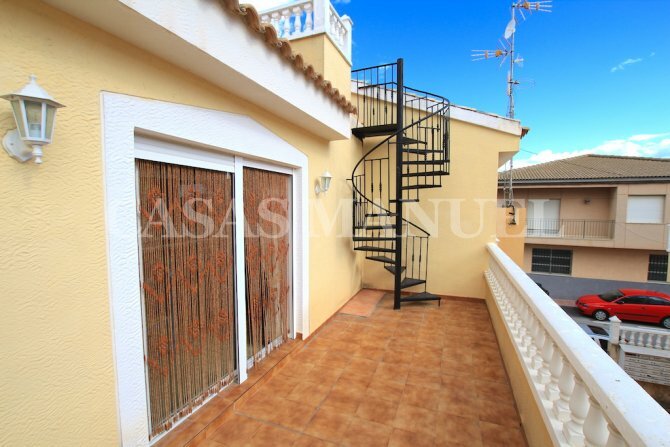 Leading straight off the lounge you have a large sun terrace which looks down over the communal garden. 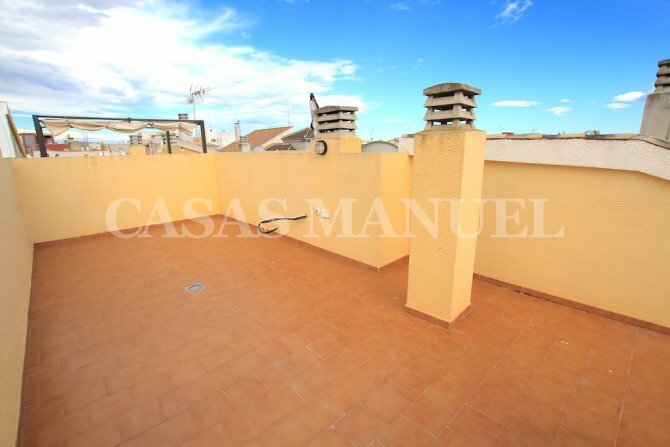 The sun terrace also gives access to the private rooftop solarium. 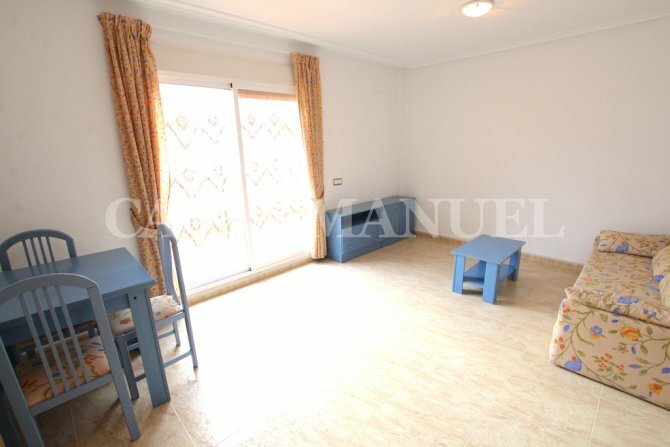 The property will be sold as seen, pre-installed for A/C and would provide the perfect family holiday home under the sun! 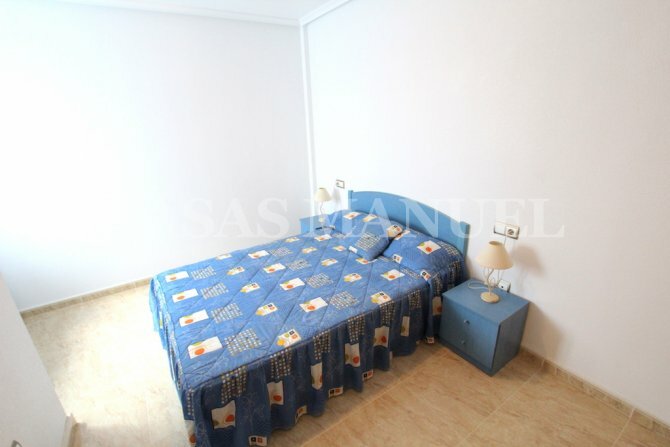 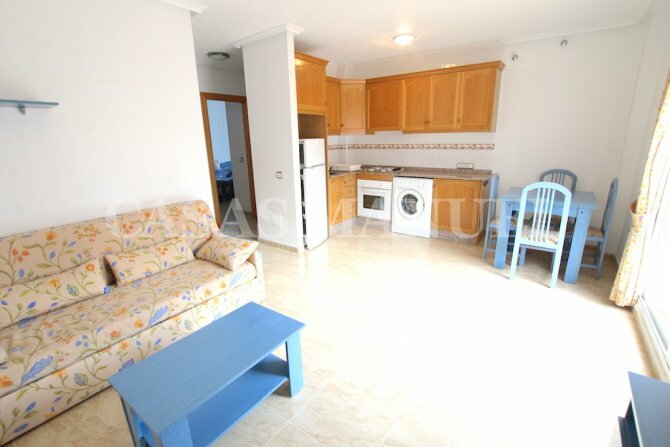 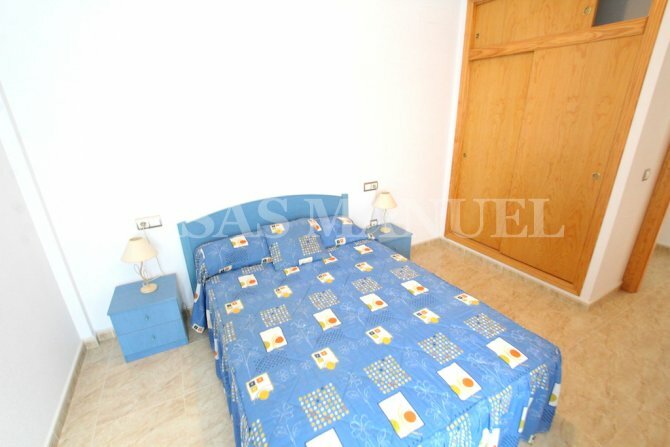 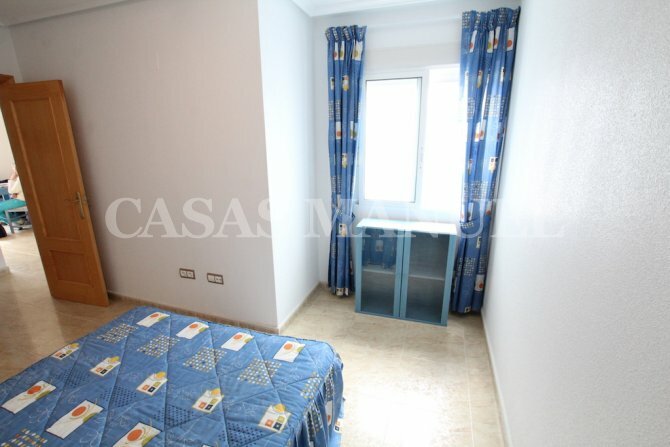 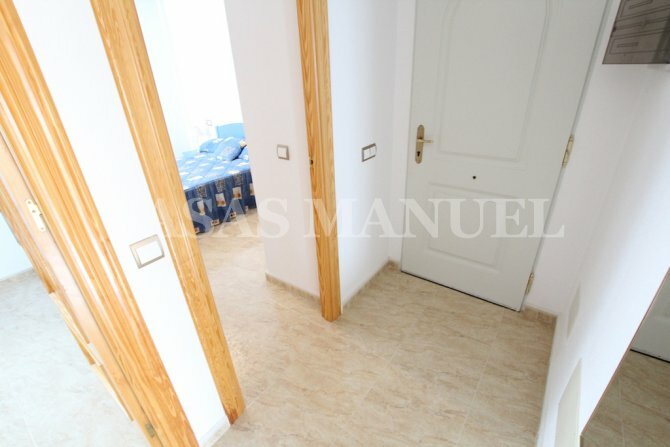 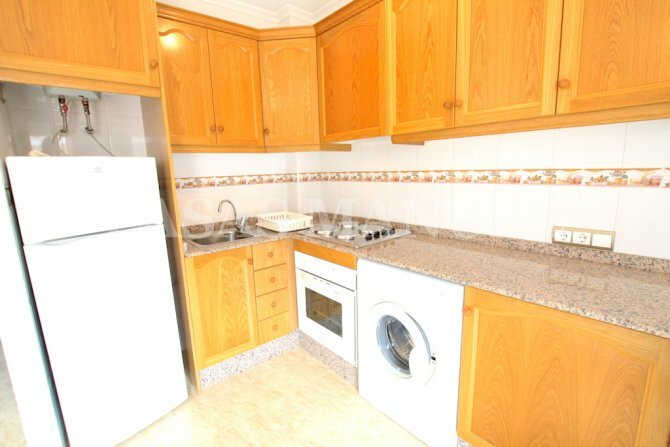 This wonderful apartment for sale in San Bartolome is ideally situated within walking distance to a range of services and amenities and would suite those for looking to be in a traditional Spanish setting close to Orihuela city. 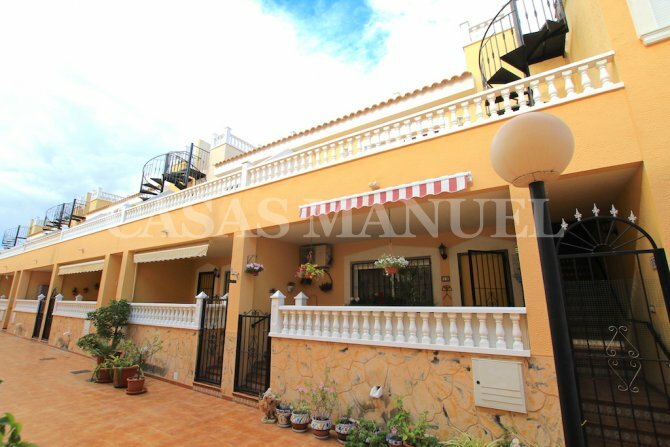 There is a wonderful village swimming pool just a short walk away which boasts plenty of sun-bathing space. 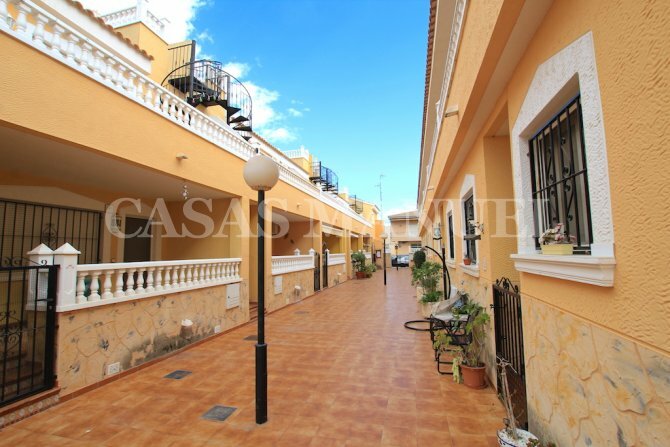 San Bartolome is a traditional Spanish village which makes up part of the Vega Baja, Costa Blanca South. 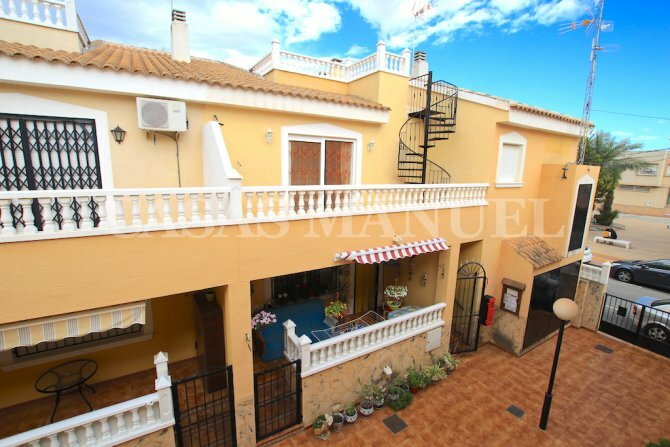 The village boasts all services and amenities including, shops, bars, and restaurants, bakers, butchers, a large municipal swimming pool and much more. 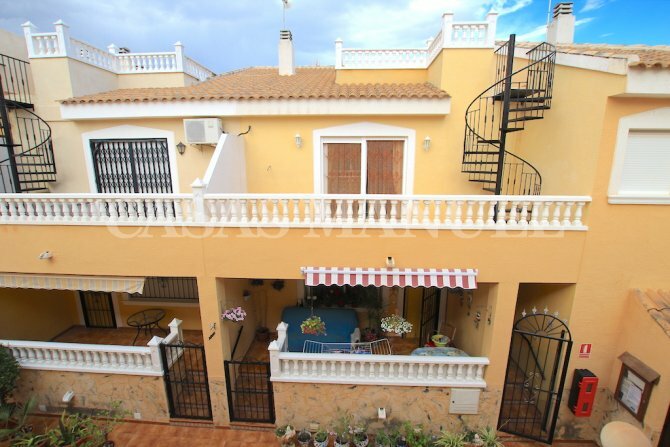 The village is located close to the Vega Baja hospital and just a 10 minute drive to the city of Orihuela where you have the train station along with some wonderful boutiques, monuments, plazas, museums, along with a range of shops and boutiques.